Alongside the release of ‘Lonely Cities’ EP, Tigertown have conquered SXSW for the second time around, wrapped up a massive tour with St Lucia as well as sold out US headline shows, attracted nods from Beats 1, Fader and triple j, hit #1 on the Hype Machine charts with the EP’s title track and returned to home soil for their Australian Tour in April. What’s next is yet to come, but one thing is for sure: Tigertown are a completely new animal, and one ready to take on the world. 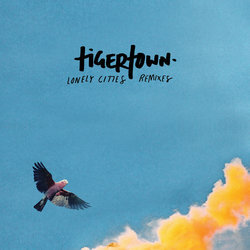 Sydney based multi-instrumentalist & producer Wishes puts a dreamy tropical spin on Tigertown's hit single "Lonely Cities"